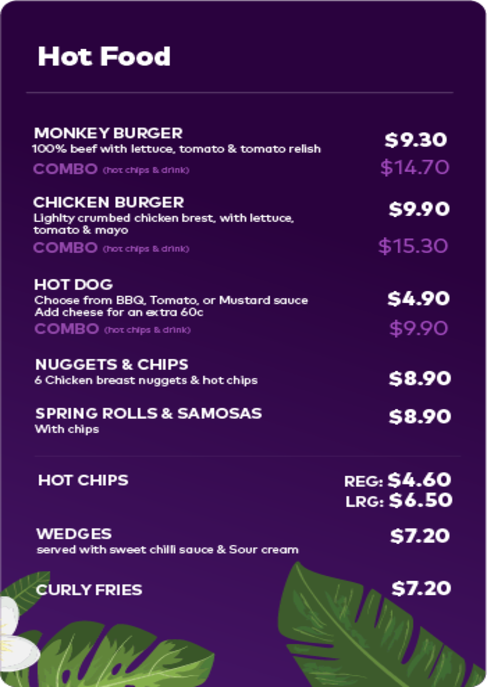 Monkey Mania Ryde is located inside the very popular Top Ryde City Shopping Centre. 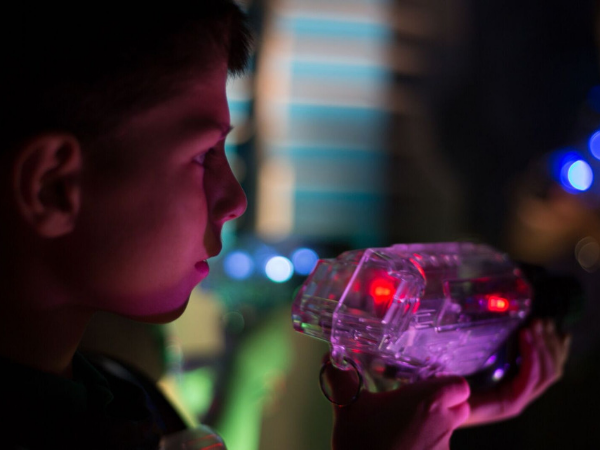 This state of the art play centre will keep the kids (and adults!) happy and entertained for hours and hours. 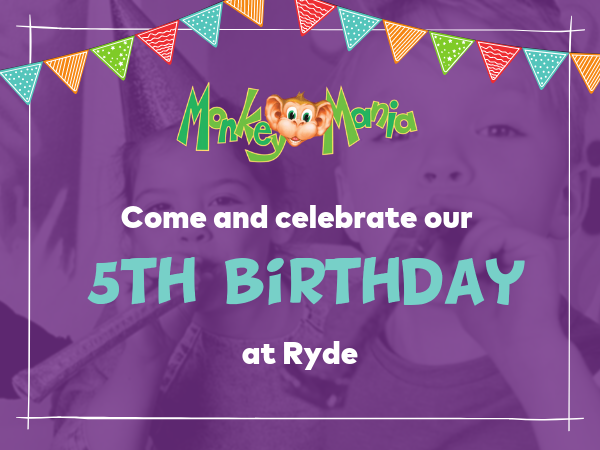 Monkey Mania Ryde includes an inflatable jumping castle, dedicated toddlers area, a gun/cannon foam ball arena, climbing structure, slides and electric kiddies go-karts. As well as having the added benefits of a café, convenient parking and air conditioning. Monkey Mania is also the ultimate kids party venue. 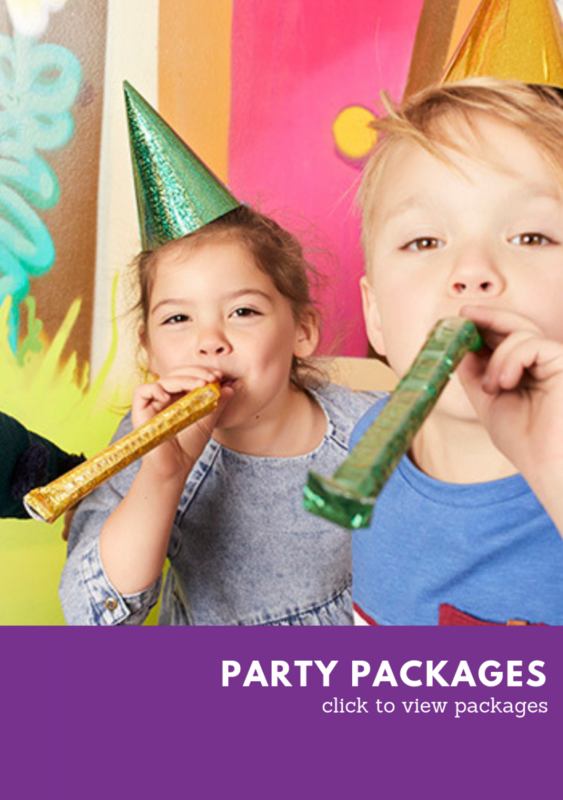 Our themed party rooms include: Candyland, Undersea Pirate/Mermaid, Enchanted Fairy, Jungle Safari and Space. Party Bookings are available on all days. Please remember that socks must be worn on all play equipment. No bare feet, no shoes. Adults too!! 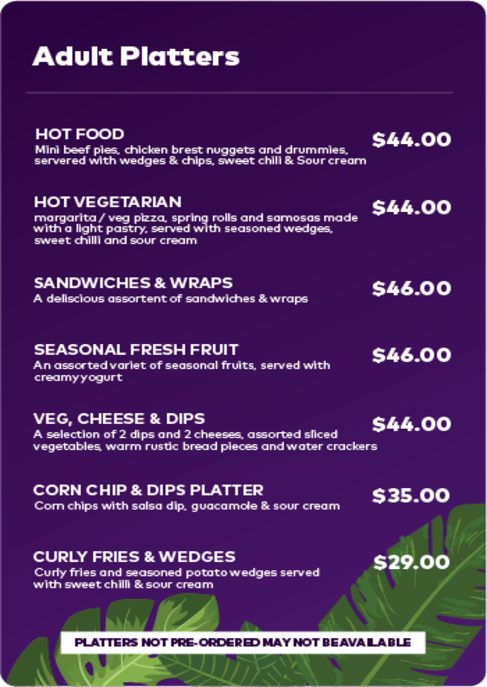 Please also remember that no external food is permitted in any of our venues. Want to get great benefits at Monkey Mania for you and your family? $12 PER YEAR, PER FAMILY! Membership Is valid for 12 months from the date of payment. 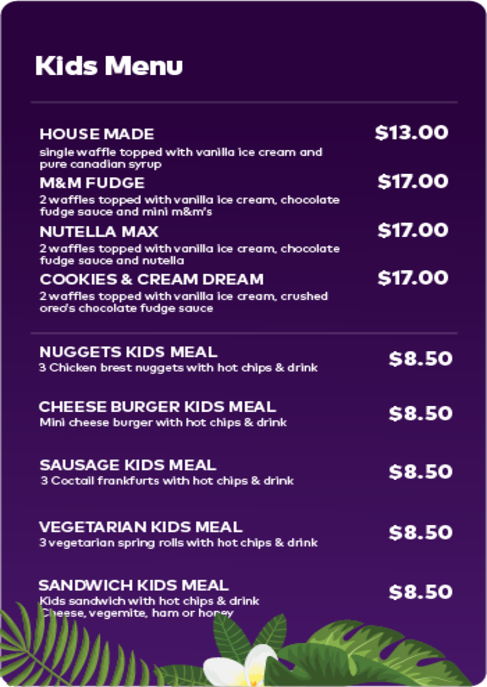 Looking for Kids & Children's Birthday Party venue on a budget? Look no further. Monkey Mania has packages and payment terms to suit everyone's needs. 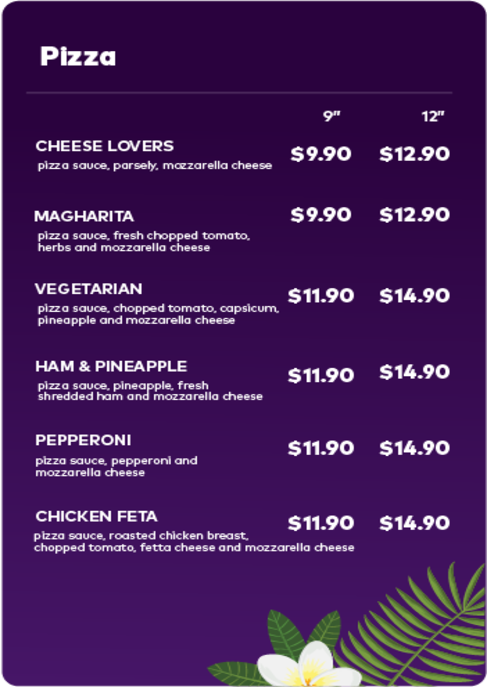 Zip Pay is a reusable account of up to $1000 that lets you party now and pay later. 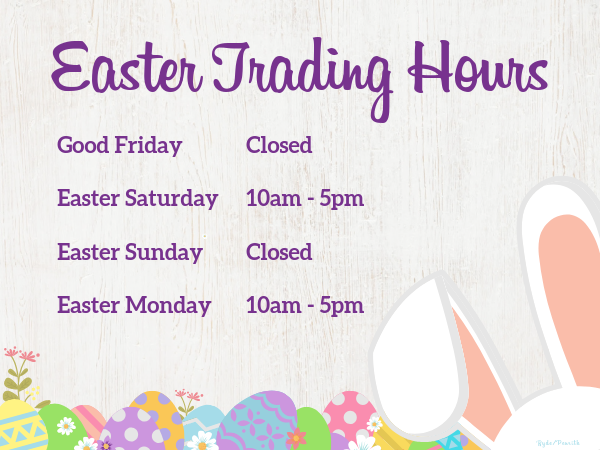 It's nearly that time of year for our favorite fluffy friend to visit again, start planning your long weekend fun now! At Monkey Mania we have the safest and most up to date facilities to ensure a fantastic night that will be enjoyed by all. It would be our pleasure to assist you from start to finish with your event planning, set up and clean up of the venue. 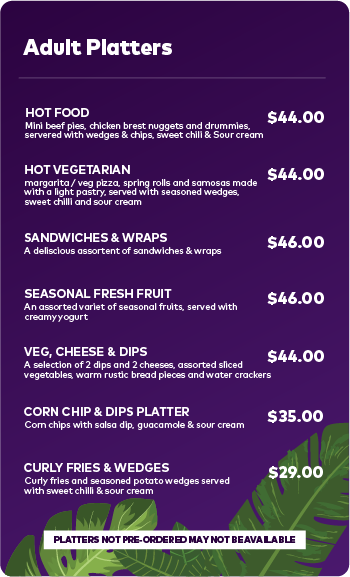 We've also got you covered with your catering needs from adult platters and children's meals available through our onsite cafe/kitchen. Come and celebrate our 5th Birthday with our members only offers this April. Located in the amazing Top Ryde City Shopping Centre. It's a day well spent at Monkey Mania Ryde. We've even got parking covered FREE for 3 hours. LIMITED SPOTS AVAILABLE! Book now for April School Holidays!!! We are fully aware that vacation care programs need to be cost effective so we have packages to suit all group requirements and budgets. Call now and speak to our team about how we can best assist you. 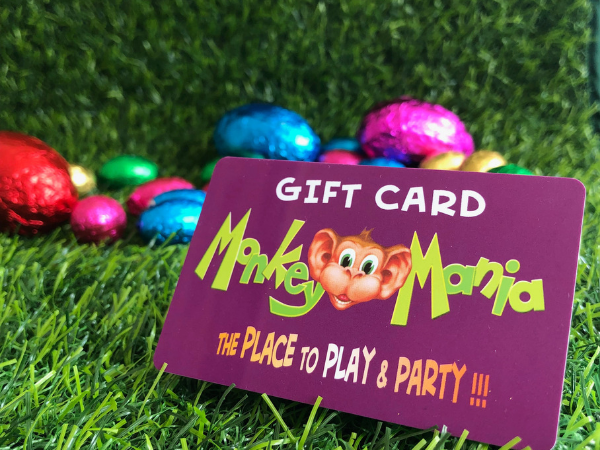 Easter is just around the corner, give the gift of PLAY this Easter and purchase your Monkey Mania gift card online!